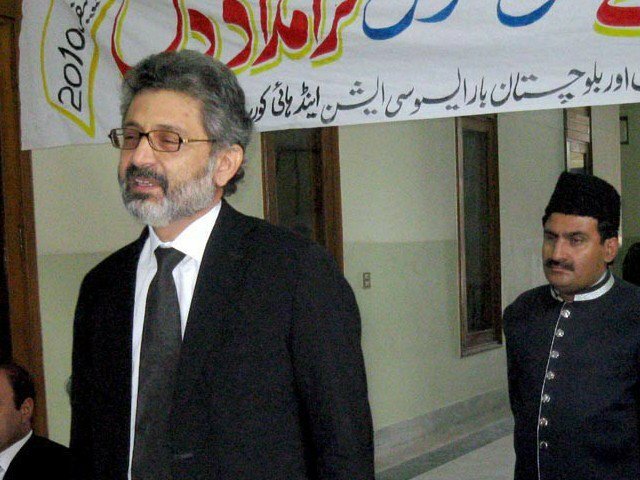 ISLAMABAD: The Supreme Court (SC) on Thursday dismissed a petition filed against the appointment of sitting SC judge Qazi Faez Isa as Balochistan High Court (BHC) chief justice. During the hearing, the petitioner informed a three-member bench led by Chief Justice of Pakistan (CJP) Saqib Nisar that Justice Isa’s appointment as the BHC chief justice was against articles 105 and 196 of the Constitution and that the August 5, 2009 notification of Justice Isa’s appointment should be struck down. The CJP asked the petitioner what reasons he had behind his claims that the appointment of Justice Isa was not as per the advice of the chief minister. “What proof do you have?” the CJP asked. The petitioner referred to his own affidavit on the matter. The CJP then remarked that this case was no more relevant as Justice Isa had been appointed as an SC judge before the petitioner’s request in 2016. The hearing was briefly adjourned after the Pakistan Bar Council’s request to become a party in the case was accepted. The SC subsequently ruled to dismiss the petition.